Bill’s moving non-stop to bring you the “Momentum” episode. A speeding car, a slow-moving snail, a kicked soccer ball – if it’s moving and it’s got mass, it’s got momentum. It will keep moving until something stops it. Things that are moving are slowed down and eventually stopped by friction, but if there was no friction, moving things would just keep on moving. That’s what happens with suns, planets, and satellites in space. The momentum of a moving thing, like you riding your bike, depends on how much mass you and your bike have and how fast you’re speeding down that hill. An elephant on a bike has more momentum than a mouse on a bike moving at the same speed. A mouse on a fast bike has more momentum than a mouse on a slow bike. If there’s an elephant on a fast bike, you’d better get out of the way. When something moving crashes into something not moving, momentum from the moving thing is transferred to the not-moving thing. In the game of pool, when the cue ball hits the 8-ball, some of the momentum of the cue ball is transferred to the 8-ball, and the 8-ball starts moving. You might not want to think too much about what would happen if the elephant on the fast-moving bike hit you. 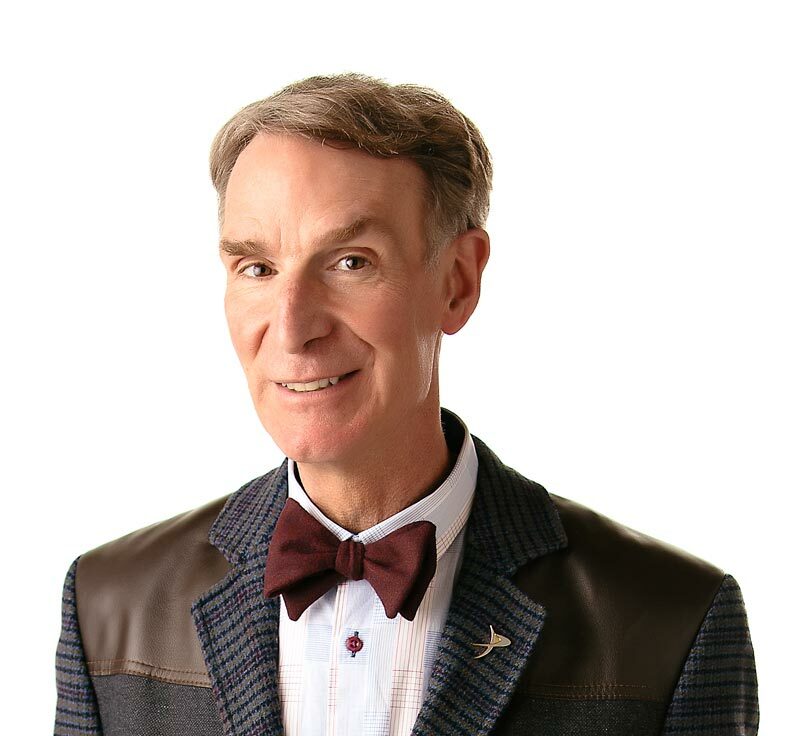 Science with Bill Nye the Science Guy will keep you moving. When objects are moving, they have momentum. Momentum depends on how much mass things have and how fast they are moving. When things crash into each other, momentum is transferred. Rockets get their momentum from their fuel? Trains can build up a lot of momentum – the fastest train moves at 300 kilometers (186 miles) per hour? Drivers in Italy build up a lot of momentum – the Italian speed limit is 140 kilometers (87 miles per hour)? “Super Motion” by Philip Watson. Published by Lothrop, Lee, and Shepard, 1982.